Alex Hales, a cricket player for England, leads the team into one of the most dramatic, attention-grabbing final-over wins that were seen in this season’s Twenty20 International match against India. During the match, England began to slip to the opponent which caused a 12-point difference between the teams. Many assumed once the difference became twelve at that point in the game it would surely be another loss for the English team. Although Hales had a different plan. The player used his experience from his currently unbeaten 58 to change the table in the last minutes of the match. 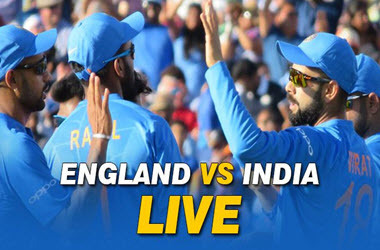 While England would need twelve points to secure a win – Hales went into action by hitting Bhuvneshwar Kumar for an impressive six points, followed by another four. Although David Willey was the player to score the final wins needed for the deciding factor for the Sunday match in Bristol. England had a successful match against Australia previously during this season tournament. Although, after their winning streak, the English team was hit with a devastating match against India on Tuesday at Old Trafford. This is not too surprising as India has been playing a successful season with strong leads. While in Cardiff, England realised that the intensive boundaries that India was known for playing this year would be a hard match for a spinner to overcome. That is why Jake Ball had his debut while Mooen Ali was placed on the sidelines. While Ball did have an impressive performance, he stood no match as he watched India strip away 22 from his final over. Then the ruthless team carried the same passion on the field during the match. Hales, on the other hand, stepped up and tried his hardest to overcome the awkwardness of playing in the position four – all while trying to figure how to get a head’s up on India’s prominent spinners, Yuzvendra Chahal and Kuldeep. Despite being in front of a plethora of fans for India, England kept India on their toes of the majority of the first half of the match. It’s undeniable. At first, England looked as it has lost all hope of achieving a win due to the combined efforts of Kuldeep and Chahal, which created the shocking 12-point difference between the two teams. Additionally, the English players did misread some of the actions of the Indian team which caused even more opportunities for the team to achieve wins. Nevertheless, Hales and Eion Morgan held strong and gave it their all to achieve the win that England desired. While Morgan provided an expectational show, it was ultimately Hales who started taking off points from Bhuvneshwar which lead to the action-filled win. While the results of this match roved favourably for England, the only question that remains is will the team be able to create a winning streak during their next match or will they have to cut it close once again. It has been recently announced that Harmanpreet Kaur, the current captain for India T20I, will now be playing for the Lancashire Thunder during this year’s season for the Kia Super League. The news was released on June 29th by the club. While this is big news for Kaur, she will also serve as being the second Indian player in the Lancashire’s history to play in the league – the first being Smriti Mandhana. Though there is a reason for her signing. Kaur is a phenomenal cricket player that made history in 2016 as she became the 1st Indian player ever to sign a contract with Sydney Thunder, a praised league in Australia. This happened after she impressed thousands with her strong performances during India’s Australian tour. This was also the time where Kaur made a shocking 31-ball 46 all while during the highest recorded T20 chase. Although she did have to take a temporary break from playing as she sustained a shoulder industry during the 2017 World Cup. Now Kaur is back in action and is already making waves in the cricket world. She expressed her excitement with the decision during one of her interviews as she stated that she is pleased to be signed with the women’s league. She continued on as she expressed how she watched the KSL (Kia Super League) for a while and finally being able to play in it and at an esteemed stadium like Old Trafford has always been a dream for the player, Kaur finished her sentiment as she reflected back on her days playing while in England fondly as it is the time where she scored her highest international score during the ICC Women’s World Cup. Once Kaur travels to meet the Lancashire team, she will be flanked by the Sydney Thunder Captain Alex Blackwell. 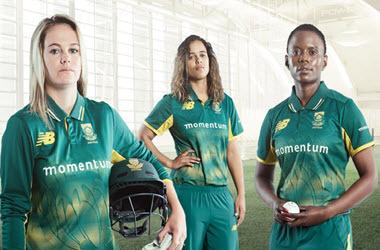 The former vice-captain of the team will be a part of the coaching stint after she announced her retirement from playing International cricket earlier this year in February. Kaur is not the only player feeling excited regarding the transition. Blackwell expressed her own glee as Kaur will be a part of the team. She reminisced about playing against Kaur during the international matches, as well as playing alongside her in the Big Bash league previously. Blackwell truly believes that she is a superb addition to the team due to her experience and dedication to the game and can also be a needed helping hand during upcoming KSL. It is expected that Kaur will be leaving to go to England during the middle of July to participate in the competition. The tournament is going to run from July 22sn through August 27th and will show six teams playing against one another in a new format – home-away. The Lancashire Thunder will be playing against Loughborough Lighting on an opening day. As they eased to the highest one day run score, England got even more determined to close with a historic 5-0 whitewash. Johny Bairstow hit 79 for England as Roy scored his terrific century. Aaron Finch and Shaun Marsh hit hundreds for the Australian team, although the result was never in doubt as Bairstow and Roy, openers for England put on 174. The victory sealed by Jos Buttler, as he smashed 54 from 29 balls, and this excitement was happening right there since England have never managed to beat Australia 5-0 in any international one-day series. The score before entering the final game stood on 4-0, and every fan can simply not wait for the final taking place on Sunday at Old Trafford. On Tuesday after 481-6 in the third game of the series, it is understandable that Australia already expected the worse as Bairstow and Roy plundered their bowling attack again in what can only be described as a devastating hitting display. England’s second-highest run chase was the 311 chased by a team that took no or very few risks. The Australian team had no answer to the powerful partnership of the opening pair which quickly claimed the title as the best in modern cricket. In only sixteen games their fifth century stands together, surpasses that of Nick Knight and Marcus Trescothick, which held the previous first-wicket record. Australia well short even though Marsh and Finch hit tons when they chose to bat after winning the toss. 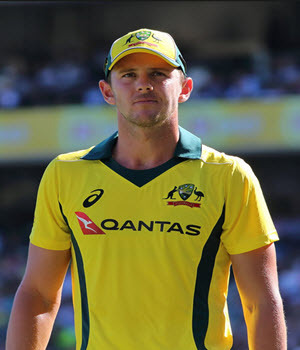 This choice later proved to be a mistake on the Australian side as England remained positive to claim their world-record score. Big shots came from Finch and Marsh as they approached their centuries, their innings laid the foundation for an onslaught in the final overs. Both players were removed once they passed 100. Eoin Morgan, Captain of the England team, feels it was a solid performance all round in which the team kept their control of the run-rate exceptionally well. Australia simply never got away and for England winning against a good side holds more significance as the 5-0. 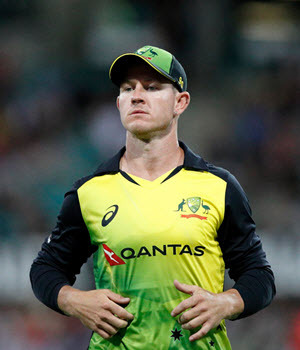 Tim Paine, captain of Australia, feels there was a patch where the team finally got themselves back into the game but then dropped a catch and England took the game away from them. He said in a press conference that Australia arrives with an inexperienced side and that England is the best team in the world and therefore hard to beat, although it is still not an excuse. It is undeniable to admit that the Indian Premier League of cricket is a well-known and respected league. From their billions of television rights and appearances to salaries that are ranging in the millions and their 11-year long history, it’s no wonder why this team is world renowned. However – despite all this team’s success, they are being protested by farmers in India who are angry, drought-stricken, and fed up. To be brief, two Indian states, Karnataka and Tamil Nadu, have been fighting for years over water rights in the regions of the Cauvery River. Though, tensions have been running higher due to farmers based in Tamil Nadu becoming more urgent about their demands due to the increase of drought conditions. Now here is where the Indian Premier cricket team comes into play. To gain more publicity for their cause, the farmers began targeting the extremely high profile I.P.L due to their worldwide success and their global fanbase. 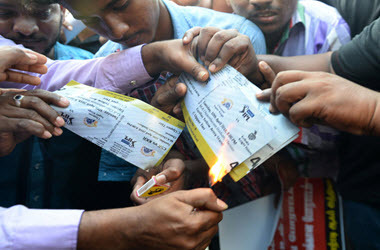 Due to the farmer’s protests at in Chennai, which is based in the capital of Tamil Nadu, six of the Chennai Super Kings games, were forced to be moved to Pune, which happens to be a little over 600 miles away. While at first glance one might think that the protests were mild – the farmers managed to protest inside and outside of the stadium. This prevented the team and fellow fans from entering or even coming close to the stadium. During this event, police were called to put a lid on the protests and this lead to closed roads around the stadium and 20 protesters being arrested. Despite the protests and the movement of the game, the Chennai Super Kings have finally made their way back into the cricket league after a suspension that was a result of corruption and match-fixing charges. Since these games were their first since the initial suspension, they were highly anticipated by the players and the fans alike. 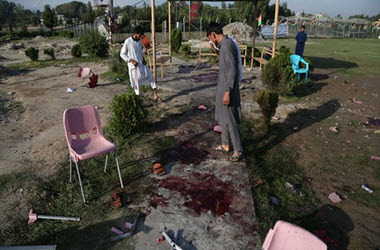 While the country is trying to solve the dispute between the two states civilly. The Chennai Super Kings will have to wait one more year before they officially can return to the cricket league and hopefully start winning some games again! When it comes to the rest of the games that the Chennai Super Kings will play, cricket officials have decided to keep the idea of moving the games to different locations. This will allow for the players to be safe, to avoid fan riots from breaking out, and to allow the police of Tamil Nadu to start handling the protests in a safe way.